Are your making your productions without a plan in place? Are you jumping from thing to thing ending up with incomplete beats or unfinished productions? That’s why we wanted to lay out the essential steps of the beatmaking process. Mixing the beat – things such as setting levels, using EQ, compression, adding automation, etc. 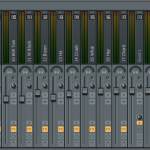 Preparing the final exported version of the beat. Need help making great beats? This is the process of finding the right sounds for your beats. This includes drums, synths, hits, and any other composition elements of the beat. This stage can have a massive impact on your productions. Pro Tip: Good sounds in = good sounds out. This is one of the number one rules of beat production. Take pride in the samples you use and the synths you produce with. reused throughout different sections of the beat. For example: Having the main bassline on its own pattern allows you to easily add your bassline to any part of the song (or take out to create a break). This is when you take your individual patterns and turn them into a beat. This is when you start arranging patterns and put the beat together in its entirety. This is where you make things interesting. During this stage of the beatmaking process you want to mix things up. Add variation by adding drops, transitions, tape-stops, sweep effects, risers, and other elements that add variation. The mixing stage is where you start to make your beat sound good. This is when you start to set levels, automation, and use effects. This is one of the toughest yet most important parts of the beatmaking process. You can be the best producer in the world but struggle with mixing and your beats won’t hit hard. Want A Complete Mixing Guide? If you need more mixing help check out our complete Beat Mixing Guide. This is the final render(s) of your beat. 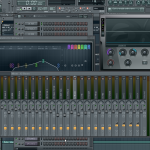 In this stage you want to render down a high quality version of your beat. I actually prefer to render down a mastered and unmastered version. The one that is mastered will be used to showcase the beat. 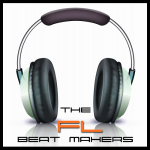 The unmastered version will be saved for an artist who purchases the beat. The only other potential mixdown is a tracked out version which may or may not be necessary for your situation. If you don’t need to track out your beat don’t waste your time doing it. However, you may find yourself in a situation where you need it so it is important to know how to do it as well. 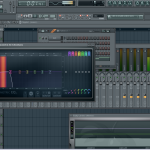 This is a high level look at the complete beatmaking process. If you are going through each one of these stages as you compose a beat you are on your way to better productions. Just remember that everyone works differently so find a workflow or beatmaking process that works best for you.